The Alps Residences @Tampines LAST 10 to Sell Out! The Last CONDO selling at EC price? THE ALPS – MOVE IN SOON! 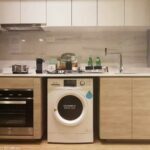 – Equipped with Wet & Dry Kitchen + Utility area! – All bedrooms with attached bathroom! – All bedrooms fits min a queen size bed! Site area 15,660 sqm / 168,567 sqft approx. The Alps Residences inspired by the Swiss Alps will be the next Tampines iconic development found along Tampines Avenue 10/ Street 86. The Alps Residences is expected to be completed before year 2020. With a land size of approximately 15,660 sqm / 168,567 sqft, it will yield a total of 626 unit with various unit mixes ranging from 1 bedroom to 4 bedroom and penthouse over nine towers to provide for different needs and preferences. Residents with school going kids will appreciate closeness to St. Hilda’s Primary School, Poi Ching School, UWC(SEA) as well as Overseas Family School. It is the closest plot of private residential land that is within short walking distance to United World College of South East Asia. Family members will also appreciated the convenience of retail giant such as Giant, Courts and Ikea which is a 10 minutes’ drive away. As for Investors looking at may take consideration of Changi Business Park along with employment opportunities that may arise out of Singapore Changi Airport Terminal 4 & 5’s expansion together with Project Jewel, which will transcend to higher occupancy in the East giving investors a sizeable pool to renters} to pick from and capital appreciation for The Alps Residences. ★ 626 Stylish units available. Choose from 1 to 4 bedroom and penthouse configurations, ideal for new couple or multi-generation families. Unique layout of 4 bedroom penthouse in a single level. ★ Attractive prices. From $488K onwards. The Alp residences selling price based on per square foot will be from $1100psf. Ideal of up-graders to a bigger units or investors. 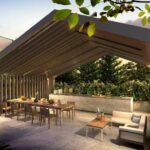 Influenced by the elegance of nature and breathtaking surroundings of the Alps, this development is considered as one of the worthy investment consideration at the eastern part of Singapore. Being the first regional center in this city state, Tampines Regional Center has many recreation, residential, economic and educational developments and is set to become an even shinier Jewel of the East, which will definitely be a big draw and advantage to the future residents of Alps Residences. Tampines is always listed as one of the best estates to live in. In recent years, there have been many improvement works for the roads, buildings and community centres and more are still coming such as the Our Tampines Hub where family and friends can have fun in an integrated community and lifestyle hub expected and is set to open in 2016. Tampines, while located at the East, has been well-received by business establishments and office buildings. For school-going children, there are well-known and highly acclaimed educational centres such as Springfield Secondary School, Temasek Polytechnic, Montfort St Hilda’s Primary, Poi Ching School and Temasek Polytechnic. 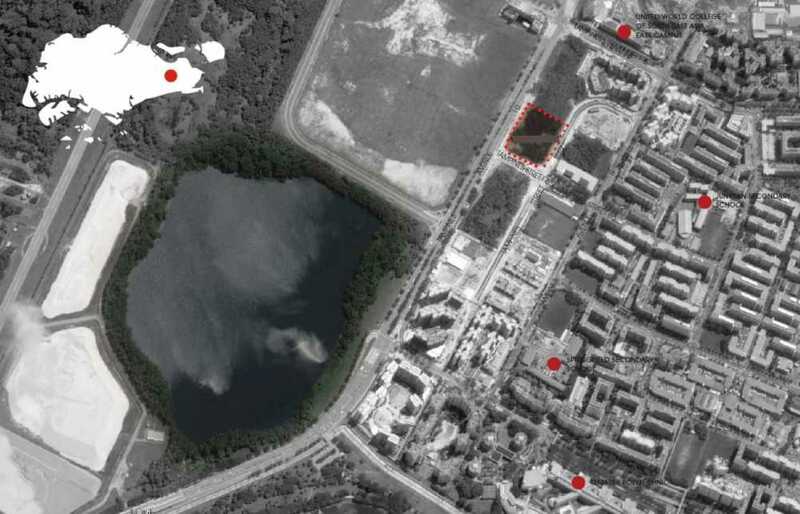 The area while housing many residents also has the second largest commercial hub following Jurong Lake District. IT and multinational companies, banks such as DBS, OCBC, Citibank and Standard Chartered, and commercial and retail shops are all located in a neatly packed neighborhood and are harmoniously coexisting with schools, malls and residential properties. Future residents of the Alps Residences can look forward to convenient and comfy city living. Exist in a modern and balanced environment without insecurities and troubles, irritating and air polluting traffic jams, densely populated malls and overcrowded streets. Urban lifestyle has never been this calm and relaxing. Find your very own sanctuary and leave the chaos and hassles behind, find your sweet escape at The Alps Residences. MCC Land (S) Pte Ltd is involved in the building of Universal Studios (RWS), Keppel Distripark and has developed and/or managed many other quality housing projects from BTO, to Executive Condominium to Private Condominium, such as The Canopy, The Nautical, Canberra Residences, One Canberra, etc. A new launch inspired by Swiss Alpine region – At the peak of living conveniences, concepts and comforts. Easy accessibility to the nearby future Our Tampines Hub and Tampines Central with various shopping centres such as Century Square and Tampines One. The design of this development should bring to mind the European mountain range that gave the Alps their name. The exterior of the buildings are snow white like mountain peaks. Unit sizes in this development range from studio units up to units with 4 bedrooms for buyers that want more space. There are also dual key condo units as well for added flexibility when it comes to how units will be utilized. Each of the units are designed to be as spacious as possible and are finished with high end materials and fixtures that will appeal to various types of buyers. The Alps Residences is strategically located approximately 2 km away from Tampines Regional Centre, and is in closed proximity to Changi Business Park and Seletar Regional Center. It is also within short driving distance to Singapore’s first “Warehouse Retail Scheme” that comprises of IKEA Tampines, Courts and Giants which can fulfilled most of your daily groceries needs. To fulfil your shopping desire without the needs to traveling downtown, huge malls such as Tampines One, Tampines Mall and Century Square are only few bus stops away from The Alp Residences location. W ith the ongoing construction of Downtown Line 3 (DTL 3), The Alps Residencs is only a few bus stop away from future Tampines MRT Interchange and Tampines West MRT Station, which will provide residents in Tampines an alternate solution to travel downturn using the public transport. For parents seeking for reputable schools, St Hilda’s Primary and Secondary Schools, Junyuan Secondary School, Poi Ching School and United World College of South East Asia are all within 1km from The Alps Residences. There are many shared condominium facilities that can be found within this new launch condo development. There is a guard house for added security, a clubhouse which makes entertaining larger groups much easier and a children’s playground located outside on the development’s grounds. For individuals who want to get into shape without leaving home, a pool and indoor fitness center will help residents achieve their fitness goals. The entire idea behind this development is to ensure that residents are as relaxed and pampered as possible while living at The Alps Residences.